And God said: 'Let there be a firmament in the midst of the waters, and let it divide the waters from the waters.' And God made the firmament, and divided the waters which were under the firmament from the waters which were above the firmament; and it was so. 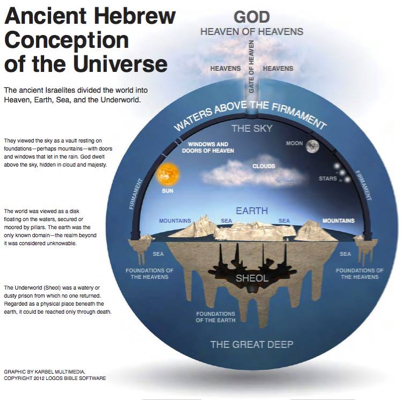 Like most ancient peoples, the Hebrews believed the sky was a solid dome with the Sun, Moon and stars embedded in it. The Hebrews regarded the earth as a plain or a hill figured like a hemisphere, swimming on water. Over this is arched the solid vault of heaven. To this vault are fastened the lights, the stars. the Sages' view that the sun passes behind the sky at night - with the sky being believed to be a solid dome. It emerged that ALL of the Rishonim without exception, as well as many Acharonim, agreed that Chazal held this view. Today, we all know this is not true. Does the Torah actually have such a distorted view of Earth and the Universe? Or is it a matter of interpretation? If we know the Chazal had it wrong, how can we trust their other interpretations? What is the current view on the firmament in orthodox Judaism? The notion of a semi-spherical shell around the world, that the sun travels under during the day, and then back around and over at night is not necessarily the early Israelite understanding of cosmology. Most of the evidence for it is from an era when he Babylonians and Persians had much much more accurate observations than the Greeks, and it is the Babylonian cosmology. Tannaim (eg R' Eliezer on Bava Basra 25a) and the earlier Babylonian amoraim mapped the Torah to it, much the way rabbis today talk about Relativity and QM in the Torah. Given that it was the dominant science in their mileau, this was actually the rational choice. There is no indication that this was also "Ancient Hebrew" belief on the subject. Meanwhile, in Israel, the later tannaim and amoraim switched over to the Ptolemaic system as Ptolemy's work took over the scientific consensus in their region. (See Pesachim 94b) And the debate shifts -- it is taken for granted that the raqia is a spherical shell around the earth, and the question they debate is whether the stars are affixed in the raqia, or move around on their own in front of it. As opposed to all rishonim agreeing that all of chazal held the same view, it is uniquely the position of Rabbeinu Tam who says Rabbi Yehudah didn't actually switch views to the Ptolmeic system. The talmud in Pesachim says that he found the sages of Athen's words "appear to be more correct than ours", the sages' of Israel's. The idiom would usually mean that they are indeed more correct, as can be seen. Rabbeinu Tam (as relayed by the Shitah Mequbetzes on Kesuvos 13b) interprets the line as saying they appear more correct, but in reality the Greek astronomy is mistaken. In my opinion, it is more important to note the meta-issue... 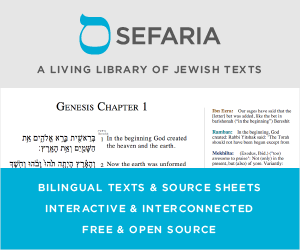 The general tendency is not an assertion that the Torah is a source of scientific theory. Chazal simply understood the verses as per then-contemporary science. And it is recorded in the gemara (except according to Rabbeinu Tam) that they changed their opinion when a new theory came along. Just as we today would with our contemporary science. None of which means our sages thought the raqia was a shell because the Torah said so. Rather, that the Torah looked to them like it was talking about a shell they took for granted existed -- because their local scientists did. In the same way, it is likely 2,000 years from now, Jews are going to find our explaining Genesis using General Relativity quite antiquated and misguided. Still, it may be appropriate for us to do so, because it is our best understanding of the world and thus the verses. והנכון בעיני, כי הארץ היתה מכוסה במים, והרוח יבש המים מעל הארץ כדרך ויעבר א-להים רוח על הארץ וישכו המים (ברא' ח, א) אז נראה. ובעבור האור היה הרקיע. והוא האויר ההוה על הארץ במעשה אור השמש, כאשר יגיע אל הארץ, יתהפך למעלה בעבור עובי הארץ, ויתחמם האויר הסמוך אל הארץ. ועל זה הדרך אמרו קדמונינו ז"ל (ביצה ד, ז) מוציאין את האור מן המים. רק לעולם יהיה קרים שהם עבים מהחמים. והנה הרקיע הוא זה האויר ועוף תעופף עליו. And what appears correct in my eyes is that the earth was covered in water, and the wind dried the water from over the earth in the manner of "And God passed a wind over the earth and the water abated" (Gen 8:1), then it was seen. And on account of the light there was the firmament. and it is the air that is on the land per the action of the sun's light, when it reaches the earth, it turns upward due to the thickness of the earth, and the air close to the earth is heated. And in this vein our forebears of blessed memory spoke (Beiza 4:6) 'they remove the fire from the water'. However it will always be the cold that are thicker than the hot. And behold the firmament is this air and birds fly on its face. Although it is a little difficult for me to understand, he seems to say that the rakia is some sort of air. Rakia: anything that is stretched and crushed is called "rakia", as in "beaten plates" (Numbers 17: 3). And it refers to the air that surrounds the sphere of the Earth. The word רקיע means a hammering-out. At first all of creation was consumed with water. The רקיע was a hammering-out "inside of the waters" (verse 6) which would "separate between the waters" (ibid). In other words it would force a gap of water, basically a bubble. The רקיע is simply the great bubble we and everything else in the universe inhabits. Relative to our position, the waters on earth are below the bubble, and the waters above are those outside the bubble, beyond all the planets and galaxies and stars and darkness. This is the plain reading of the verses and is not refuted by modern science. This is my reading of verse 2, in which the רוח אלהים hovered or blew over the water which covered the תהום which was dark and תהו ובהו. No mention of the bubble of air we inhabit. Considering that רקיע fits the description of this bubble, I assume the reason there is no mention is because the bubble is the רקיע, which wasn't created yet. The alternative is that the רקיע is some kind of stable mass ("firmament" used to make me think of a giant glass dome) like a wall nothing could penetrate, but the verses place the sun, moon and stars "in the רקיע השמים" (verse 17) and some of these things move so this is wrong. רקיע must be something things can travel through as for example things travel through water, but not water because we know it "separates" water. It is no argument that the bubble we inhabit is not the same inhabited by Mars because there are different chemical properties in the air on Earth and on Mars; because whatever the chemical elements in any place are there is still a continuum of non-water penetrable substance which travels throughout the observed universe and it is that continuum, not a specific combination of chemicals which the verses are calling the רקיע. The firmament means “expanse” and refers to the “expanse” of man’s hearing to the words of God (“And God said…). The expanse in the hearing is in the midst of the “waters” of men. The waters are then divided over the hearing of His words. It depends on how man responds to His words. Some will hear and others will refuse to hear. The firmament is the “expanse” of hearing. For example in Jeremiah 13: 15: “give ear” = to expand. Jeremiah 13:15-16 JPS (15) Hear ye, and give ear, be not proud; for the LORD hath spoken. Some will hear and give glory and some will not. (16) Give glory to the LORD your God, before it grow dark, and before your feet stumble upon the mountains of twilight, and, while ye look for light, He turn it into the shadow of death, and make it gross darkness. God sent His servants the prophets…sending them many times…to speak His words. Jeremiah 44:4-6 JPS (4) Howbeit I sent unto you all My servants the prophets, sending them betimes and often, saying: Oh, do not this abominable thing that I hate. Yet, they did not hear nor “inclined their ear” ….that is, to stretch or spread out. There was no “expanse” as they did not hear and turn from their wickedness. (5) But they hearkened not, nor inclined their ear to turn from their wickedness, to forbear offering unto other gods. (6) Wherefore My fury and Mine anger was poured forth, and was kindled in the cities of Judah and in the streets of Jerusalem; and they are wasted and desolate, as at this day. The creation in Genesis 1 is metaphors for the renewing of mankind as the earth became without form (without righteousness) and void of understanding (“they know Me not). Man’s understanding was darkened and there was no one to teach them (the heavens had no light). Jeremiah 4:22-23 JPS (22) For My people is foolish, they know Me not; they are sottish children, and they have no understanding; they are wise to do evil, but to do good they have no knowledge. (23) I beheld the earth, and, lo, it was waste and void; and the heavens, and they had no light. In order to reconcile man’s relationship with God, He sends people to speak His words (the knowledge of God is light) as they are moved by Spirit (the Spirit of God moved upon the face of the waters). David spoke with the Spirit of the LORD. God’s word was upon his tongue. (2) The spirit of the LORD spoke by me, and His word was upon my tongue. When men are moved to speak by the Spirit of God (such as David), those who hear shall have the light shine within them…as the light of the morning when the sun rises. The light shines out of the darkness within (the “evening and the morning”). When men have the light of His knowledge within, they are expected to respond to the light with light…with righteousness. Righteousness is supposed to spring up out of the heart after the “rain” of teaching. The “expanse” of the hearing is called “Heaven” because what man hears is straight from Heaven. Genesis 1:8 JPS (8) And God called the firmament Heaven. And there was evening and there was morning, a second day. The lights in the firmament (the expanded hearing ear) of the heaven are the commandments of God. Deuteronomy 6:4-6 JPS (4) HEAR, O ISRAEL: THE LORD OUR GOD, THE LORD IS ONE. (5) And thou shalt love the LORD thy God with all thy heart, and with all thy soul, and with all thy might. Deuteronomy 6:8 JPS (8) And thou shalt bind them for a sign upon thy hand, and they shall be for frontlets between thine eyes. Not the answer you're looking for? Browse other questions tagged translation creation astronomy literalism chazal .